Harry Howe has over twenty years’ experience helping businesses achieve sustained operational and financial improvements. He spent the first half of his career with GE, developing an appreciation for manufacturing, business processes, technology, and financial management. The climax of that first half was as controller for Thomson Consumer Electronics’ North American TV Operations (formerly GE Consumer Electronics) where he had financial responsibility for seven manufacturing facilities in three countries and various headquarters functions representing $1.6 billion in revenue and 13,000 employees. The second half of Harry’s career has been devoted to making a difference in selected businesses through consulting engagements and new business start-ups. These include roles as CFO at Capstone Technologies and MindGent and consulting engagements with companies such as Boeing, Johnson & Johnson, and Maytag. More important to Harry are engagements with lesser known businesses where his impact has been significant. Along the way, Harry has amassed a broad range of skills, from planning and executing, to managing critical projects. He graduated from Bucknell University with a degree in business administration and completed GE’s Financial Management Program. 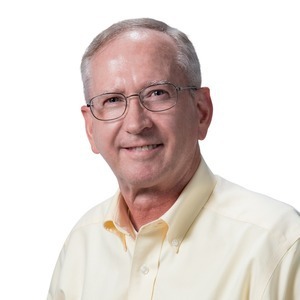 He has received certifications from the Association for Operations Management (CPIM) and the Institute of Management Accountants (CMA) where he served for many years on the Indianapolis Chapter’s Board of Directors. Howe Leadership is devoted primarily to helping a few selected businesses achieve breakthrough operational results through significant long-term engagements. Harry Howe has hosted 24 Episodes. On this episode, we speak with attorney Wes Zirkle who was part of a sports talent representation firm that went international and Emily Schoenbaechler, who worked extensively in the State House and is passionate about female representation in our technology space. On this episode, we interview Zac and Robert of Charitable Allies, a charity that provides legal, educational, administrative support, training, and consulting services to nonprofits. Episode 30: When Should Your Business Hire an Environmental Consultant? On this episode, we interview the leadership of Terra Environmental Corporation, Project Manager Jeff Stone and Rusty Wheat, the founder and President. It's a fascinating conversation about the environmental industry with some information on when you'd need to hire an environmental consultant. Episode 28: Patrick Doerflein: Disabled Veteran to Waste Water Manager to Mobile Application Entrepreneur! On this episode, we interview Patrick Doerflein. Patrick has one heck of an inspirational story... overcoming a disability that prevented him from working to becoming a mobile application entrepreneur. Indianapolis is home to some great industry leaders. Joe Mack started his career as an Army Officer who graduated from West Point Military Academy. He moved on to Perot Systems, mentored and guided by Ross Perot. A professional employer organization (PEO) is a firm that provides a service under which an employer can outsource employee management tasks, such as employee benefits, payroll and workers' compensation, recruiting, risk/safety management, and training and development. Episode 16: So You Want to Be a Solopreneur? What are the benefits and challenges of being a solopreneur? We share the good, the bad, and the ugly with three new entrepreneurs and some experienced ones here in Indianapolis. Culture of Good is a culture change resulting from a deep-seated desire to do more good in the world. 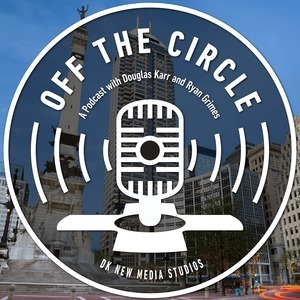 On today's Off the Circle we interview Co-founder Ryan McCarty.